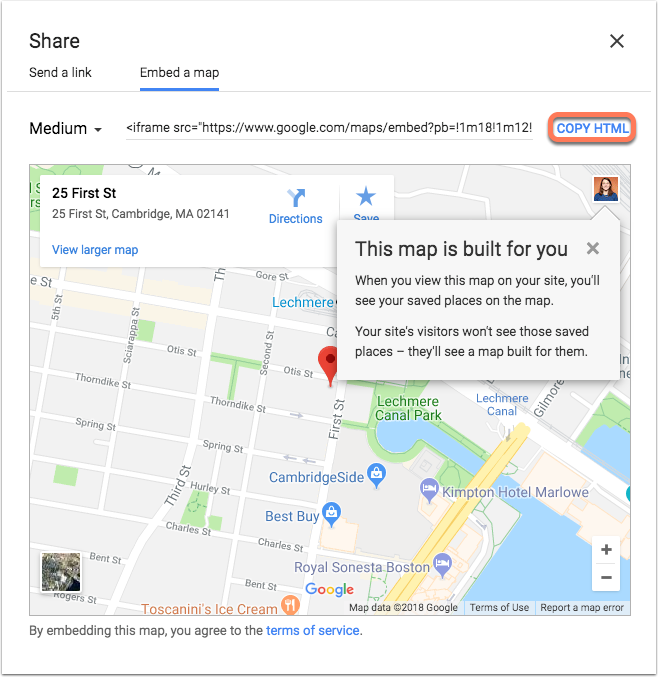 To add an interactive Google map to your HubSpot page, you can copy the map's embed code and add it to an HTML module. 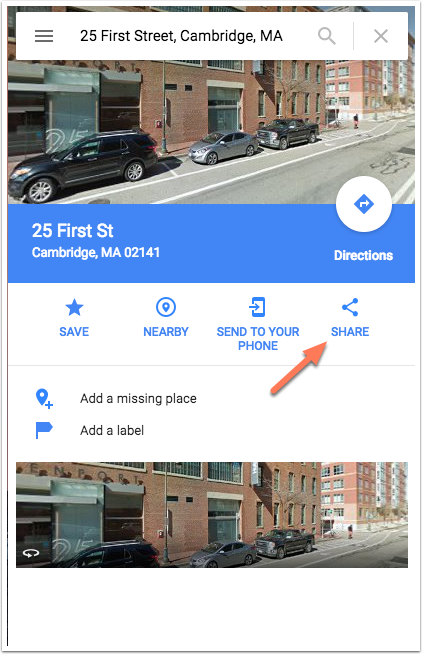 Please note: if you already had the map embedded in a Google maps module, you will need to first swap out the old module for an HTML module. Because of changes to Google's API, this module will no longer be supported. Download the HTML module from the Marketplace. Hover over a page and click Edit. Click the Settings tab, then select Advanced options. In the Template section, hover over the thumbnail and click Edit template. Click on the existing map module to open the module editor. In the module editor on the right side, click the module name dropdown menu and select HTML module. In your HubSpot account, navigate to your website pages or landing pages. In the template editor, in the right sidebar, click + Add. Use the search bar to search for the HTML module. 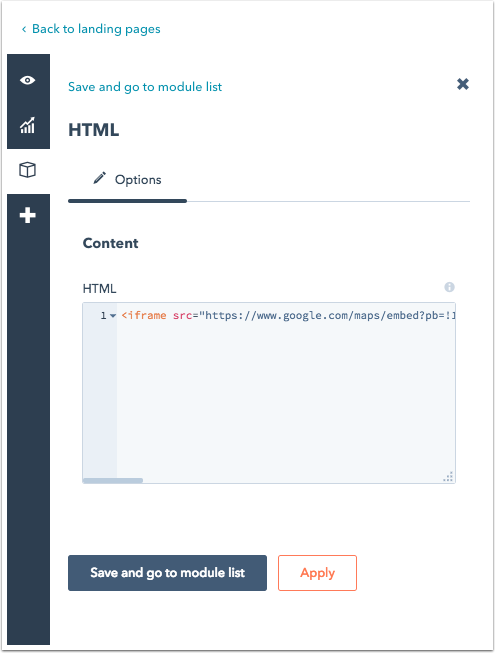 Drag and drop the module to a position on your template. Once the HTML module is added to your template, you can add your map to your pages. Use the search bar to search for your address. Click Share, then select Embed a map. Customize the size, then click Copy HTML. In HubSpot, navigate to a website page or landing page. Hover over the page and click Edit. Click Edit modules in the left sidebar. Select the HTML module. Paste the HTML code you copied from Google maps in the HTML field, then click Save and go to module list. Click Update in the top right corner to take your changes live.